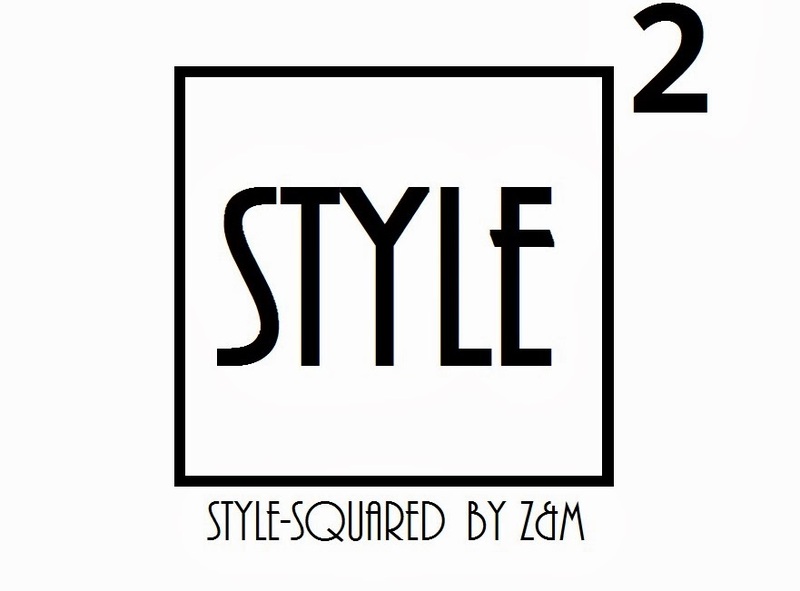 Style-Squared by Z&M: THE HAREM PANTS!!! the combination with that shoes makes it so cool! That's a cool look hon! You definitely wear them so well! I love it all, I still can't believe that bag is from Zara, I would have guess it was a designer bag instead. Im totally in love with your outfit! Shoes and pants are amazing! I love such pants too!! Great look. You pull it off so well! You look amazing. So nice style and perfect shoes. Great job. Have a nice day. I'm not so sure about that - I think in those shoes you will always get a lot of attention from everyone :-) Fabulous! gorgeous photos! love the entire outfit :) I've learned to love harem pants! Awesome!!! Love those pants and amazing shoes. Suuuuuper ti stoji, i slike su fantasticne! Aaa ove boots su mi savrsesene. This year I finally started to find them interesting, love how you styled this look!!!!! Love this look those pants look awesome on you! obsessing over this dramatic look. Love them and the heels are magnificent! I think it's complicated to wear harem pants but you did it very well!! Love the shoes!! You look gorgeous...so stylish!!! What not to like in this outfit. Everything matches perfect! WOW I love the look! Love this look! I always think that you can never be overdressed or under-dressed in black and this is a great example of that. Love the structure of the jacket and the details on the shoes (extremely gorgeous). Thank you so much for the sweet comment on my blog. Love your pants and shoes! The whole look is very beautiful, and you look gorgeous in this outfit! Great outfit and awesome boots! Harem pants are definitely only something women can appreciate! haha... I don't think I could pull them off but you can! Love the all black look with the amazing heels! OMG you look amazing as per! I think you can pull them off defo, I am way too short to sadly. And those shoes! How Givency!? such cool photos! and I love the look <3 bag is just perfect. you look really awesome. so stylish and classy :). If you feel confident to rock them, I love them! I do want a pair for myself but haven't nabbed any just yet! You look so amazing in them! Love the boots! Can u follow me to please? wow, those harems, the shoes and the headband! I follow you know, maybe follow back if you like mine ? I am totally in love with the heels! Lovely outfit! I really love your pants! Gorgeous!!! The photos are amazing!! !love the colors!!! Amazing look! great shoes! I love Your blog, would You like to follow? I follow now, xoxo A.
I like your shoes and your bag!!! Just stumbled on your blog, and I'm loving your bold sense of style! Wow the shoes are amazing! Love your unique style! xo! Great look! You can totally pull those pants off! Loving your shoes! Love the harem pants and those boots are gorgeous! They're weird and wonderful. You look amazing and oh your shoes are so hot. What are they? Great shoes, and I love your turban! Love that hair piece and the shoes are fabulous! I am so in love with ur shoes, love how u styled ur harems too ! Lovely look!a greeat style!woooow these shoes!! Love the whole look!! <3 harem pants are great!! Hope you're having a great weel! OMG You look just gorgeous ! love Your amazing shoes ! Amazing look. I love your shoes! Such a great post. You look absolutely fabulous!!!!!!!!! Omg! Love your otfit from today. Comfortable but chic! Perfect. The harem pants look amazing with those heels! I'm in love with the shoes!! amazing look:) lovee harem pants a lot.. looking good in them! Those heels are simply stunning and you totally rock the harem pants! I am loving this entire outfit! You pull off the harem pants! Loving your DIY turban too :) Thank you for the lovely comment on my blog! I would love to follow each other! I am following you now, follow back?! Diggin the turban hun, you look fab! harem pants are tough to style, but i think you did an amazing job here. love those embellished shoes! This outfit is stunning love the shoes ! stunning! wanna follow each other GFC & FB ? you look amazing - i really like your harem pants! Haha I love the idea of harem pants but sadly, have not had the courage to actually purchase any. You styled them really well with those shoes! It looks elegant and feminine and not at all mc hammer! gorgeous look! I'M IN LOVE WITH THE SHOES!!!! I love harem pants but I have trouble finding the perfect pair. Wauu! Koje cipele!! Luda sam za njima, i nemoj ni skidati turban divno ti stoji! i love harem pants but you took it to the next level love! I really love your shoes! they are amazing!!! I love your style and your blog! You're so cool! Love all black outfit and how you combined them all together.. Perfection!! Those pants are awesome! As is the jacket. LOVE a good harem pant! You look chic ;) My sister and I blog together, too! LOVE your blog! svidja mi se tvoj eklekticno-edgy chic!!! this is my far my favorite look of you! !